Dr. Eric Goebel at Mid-Michigan, Ear, Nose, and Throat, P.C. Dr. Goebel graduated from the University of Michigan in 1989 with a bachelor's degree in Cellular and Molecular Biology. He completed medical school at The Ohio State University in 1993, and went on to complete his residency in Otolaryngology - Head and Neck Surgery at the University of Iowa in 2000. He has practiced at Mid-Michigan Ear, Nose and Throat since July 2000, and was Board Certified by the American Board of Otolaryngology in 2001. 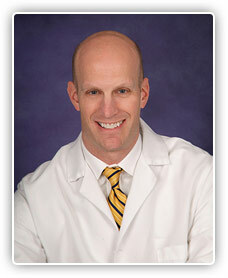 Dr. Goebel has been a clinical instructor in the Department of Surgery at Michigan State University since 2001. He holds privileges at Sparrow Hospital, Ingham Regional Medical Center, and the Michigan Surgical Center. Dr. Goebel performs all aspects of general Otolaryngology.